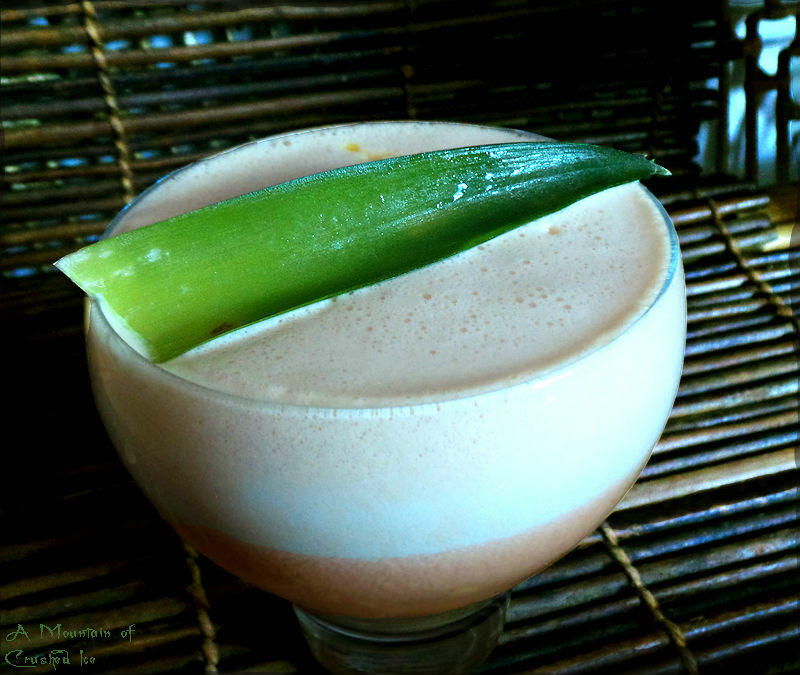 Meermaid Infused Rum – A rum with a lot of love! 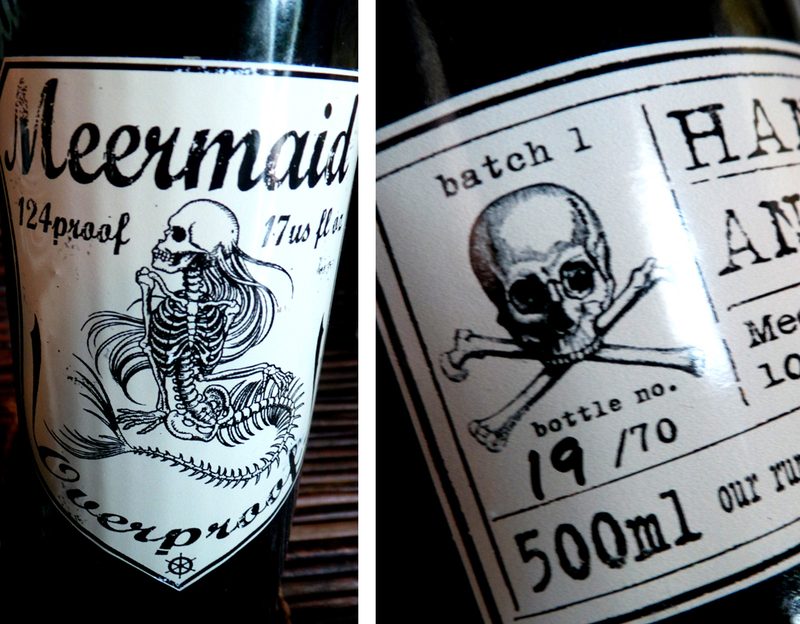 When I first heard about the Meermaid rum I got quite curious, “Meermaid rum” what on earth is that? then I saw some pictures posted and they picked my interest especially since I also read positive thoughts about it written by trustworthy people. Being an infused (or spiced) rum you tend you get a bit suspicious…..too many spiced rums are way too sweet…. But not this one! in fact there is no sugar or artificial additives at all – or as the label says on the back of the bottle – “17 real fruits & spices macerated in a blend of Jamaica/Trinidad rums. No sugar, artificial flavors or nonsense added” – Bravo! that elevated my hope! btw I like how they say “nonsense” ……..
Meermaid rum comes in two expressions, and they come in some really cool stoneware bottles – a 70ml 40% infused rum and then an overproof version of the same rum at 62% in a 500ml bottle, also stone, which is really cool. The one thing I feel could be improved is the wooden cork because it doesn`t hold very tight… I wouldn`t try to bring an opened bottle with me if I was going somewhere and that`s a pity. So a better tighter cork is needed! What this rum is – is interesting, and with an overproof version of the same rum it opens up for some tiki fun and rum pairings! 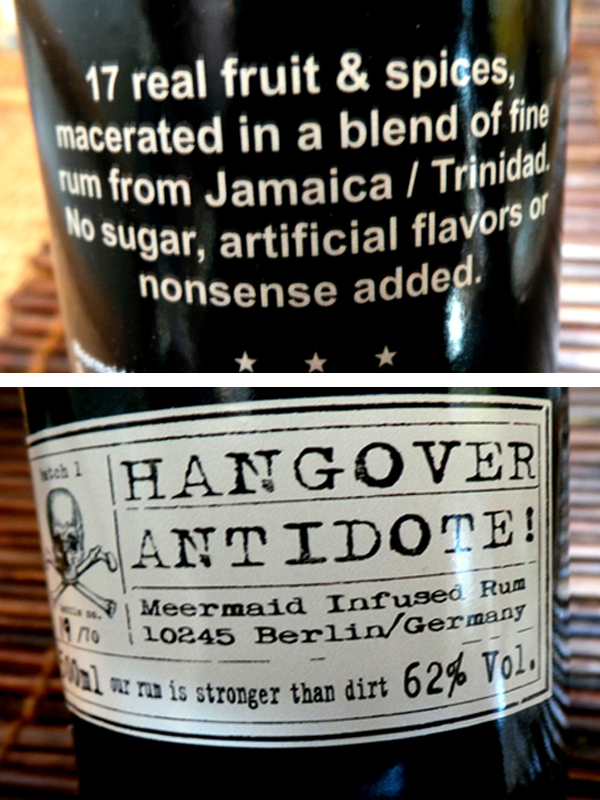 Something to note – Meermaid rum is not to be mixed up with the “Mermaid rum” from Florida, the “Meermaid” rum is infused and bottled in Berlin, Germany. Meermaid rum began with a passion to learn how to produce flavored rum…the thought is to preserve the actual rum flavor and with the 16 all natural ingredients like fruits, dried fruits and spices they add, just enhance the flavor. The rum is recommended for use in tiki cocktails (yay here I come…) or ginger beer or ginger ale, or on the rocks. Recommended is also pineapple…..did they say pineapple? now this really talks to me! 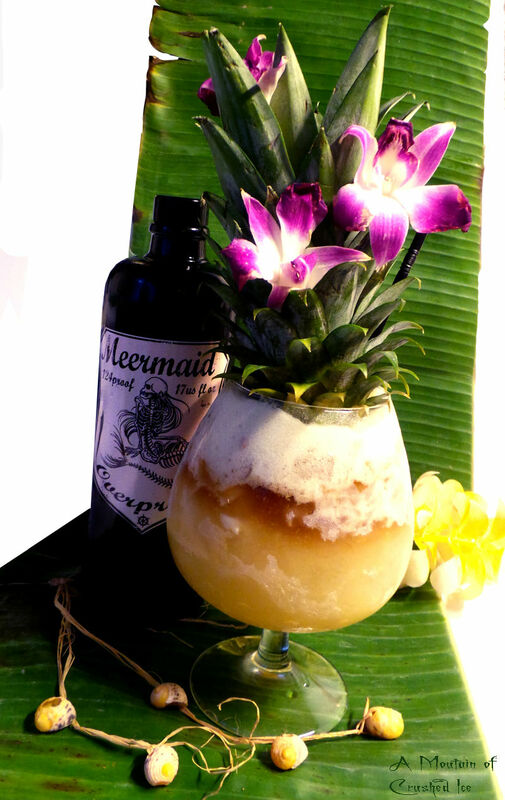 Meermaid Infused Rum – Conceived in a long gone Tiki Bar…. And it got even more interesting when I learnt that Stefan Waltz, the maker of this infused rum, once set up a tiki bar on a boat….and later used to be the co-owner of the since now long gone tiki bar in Berlin called “Tabou Tiki Room“…. 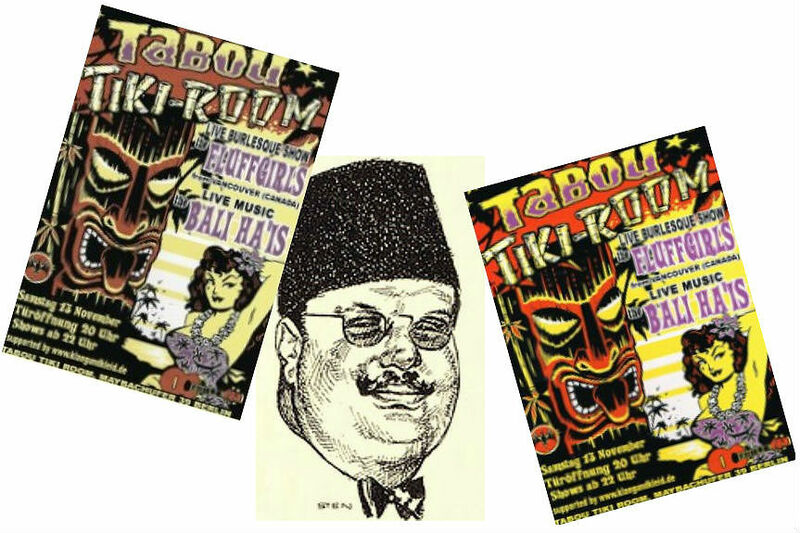 The Tabou Tiki Room was inspired by Stefan`s visits to Trader Vic in London and Munich, and the Mai Kai and Tonga Room in America and the idea of escape from the outside world that real tiki bars is all about. I used to be the co-owner of the “Tabou Tiki Room”. An infamous tiki bar, and first of its kind, in Berlin, Germany. The place is long gone now, but it was there that the dream to produce my own infused rum was born. “Tabou” was a bar that focused on the almost forgotten, rum based cocktails of the old days served in authentic tiki mugs, and an assortment of sipping rums fifty strong. I had the pleasure of acquiring these rums from around the world. 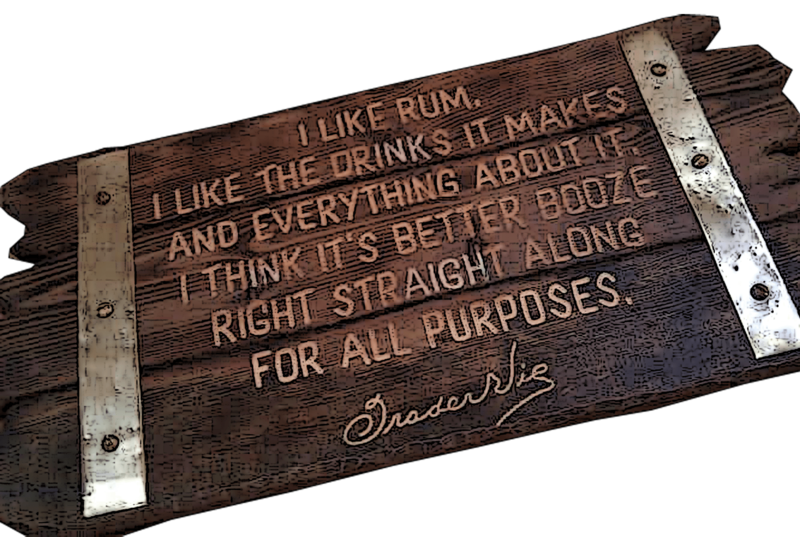 Don’t get me wrong, I know that there are fine spiced rums out there nowadays, but I want to show that it is possible to produce handcrafted infused rum at a reasonable price, while maintaining a far superior quality to the industry standard. I began by trying several recipes using quality rum with an assortment of exotic spices and various types of fruit infusions. After several months of experimenting, analyzing, and taste-testing I concocted several unique possibilities, but felt that something crucial was missing. In the end, it was my girlfriend who suggested the last, key ingredient and I knew that we had crafted something special. Two weeks and several business meetings later, I had found a way to make naturally infused rum in small batches. As you can imagine, it being in charge of searching and was a fun and exciting job. However, back in 2004 I just could not find a brand of spiced rum that met with my high standards. What I found was mass produced liquor, flavored with artificial vanilla to cover up the taste of what was quite obviously mediocre rum. It was through this search that the idea to make my own bottled rum began to form. Quite interesting story isn`t it? And now he finally has his infused rum which btw is excellent! 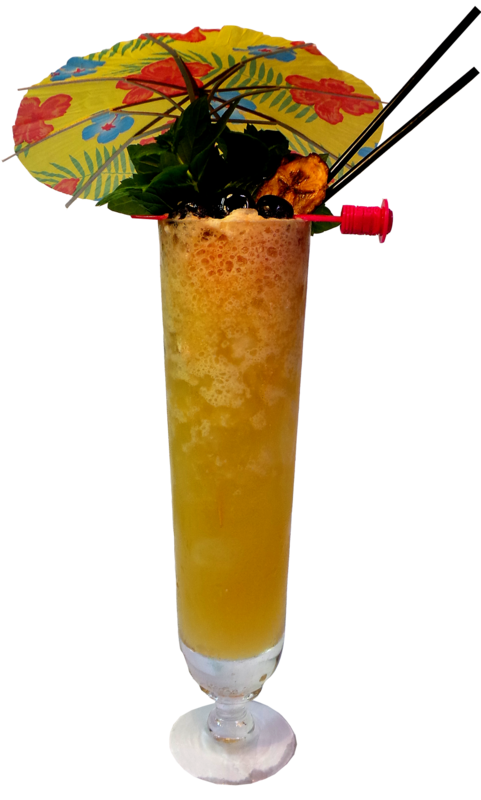 The color is lightly straw and when I swirl the rum in the glass, legs are quickly formed on the sides. The nose is very pleasant with a lot of citrus fruitiness, some herbs and a bit of spices with a very slight hint of rum in the background. The nose is very mild yet has a lot of flavor notes in it. The taste is spicy and herbal with he rum resting discreetly in the background, it´s mild and balanced and has an interesting flavor which is complex. It also has a pronounced fruitiness. It`s more mild and balanced than I expected and there`s no “overly sweetness” or “too much vanilla” in it, there´s a clear hint of cinnamon but there`s nothing that takes over. There`s also something else there I cannot put my finger on…cherry? There’s fruity orange and a bit of woody spicy aftertaste with hints of cinnamon, clove, cardamom, herbs…and the finish is medium long. It`s definetily one of the better spiced rums and this one distinguishes itself from the rest in that it`s a bit different. The overproof version has a naturally sharper nose with creamy fruitness in it, light on the spice and little bit herbal. I really like this creamy fruitness, it`s an intoxicating scent. The flavor is also very fruity and herbal, even a little bit floral with a touch of woody spices like cinnamon and clove. It`s mild enough to sip, the alcohol doesn`t kill you. In all I would say that both these rums are well balanced and mild enough to not overpower anything which so many other spiced rums does. They can be both sipped and mixed! and yes they are right, it really pairs well with pineapple! 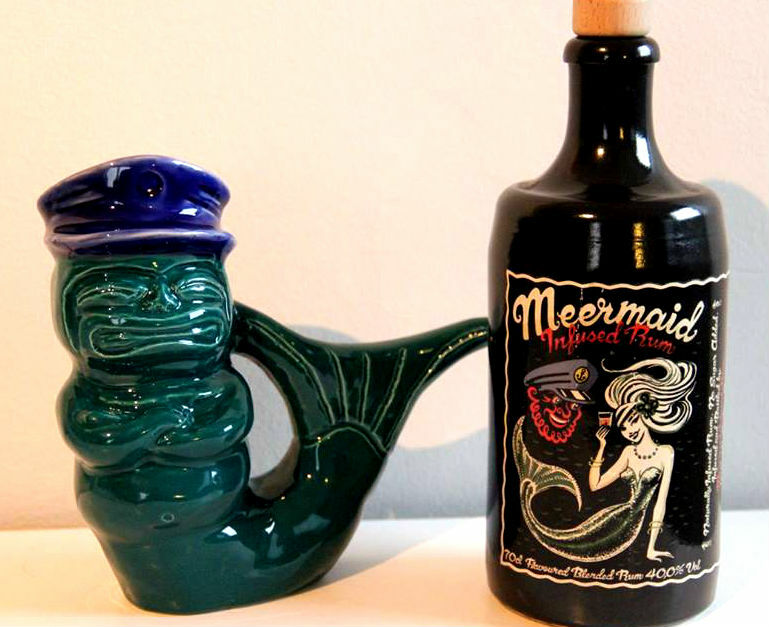 Wim Thielemans from Flap`s Tikis made a special tiki mug for Meermaid rum – is it the captain with a mermaid tail? or is it a tiki face? a really cool mug! First drink is a pineapple bowl…a mix of fresh pineapple and lime juices, orgeat and three rums to make it strong plus dashes of Angostura and Zulu bitters to make it nice! 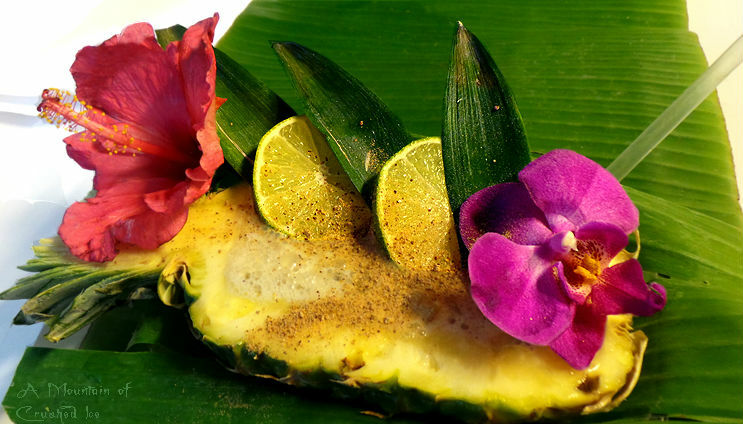 the whole awesomeness is served in a scooped out pineapple garnished with pineapple leaves, lime wheels and tropical flowers. 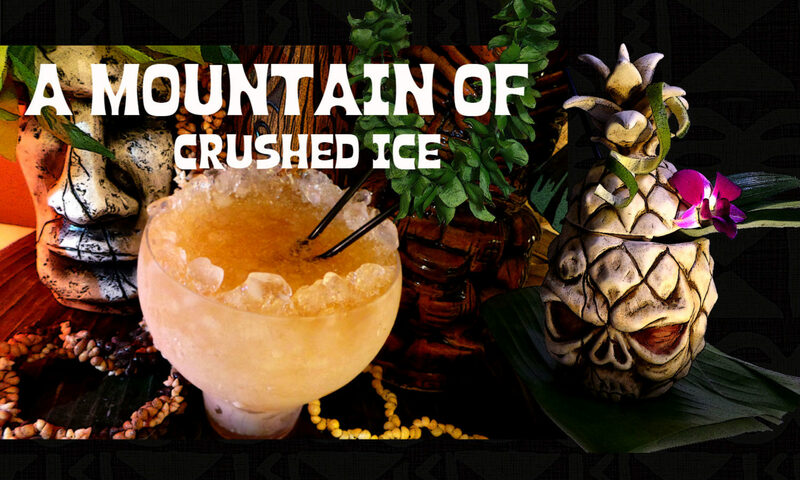 Blend in blender with 1 cup crushed ice for 5 sec, then pour into a scooped out pineapple (or glass/tiki mug) and fill up wityh more crushed ice and garnish. This drink is very refreshing! 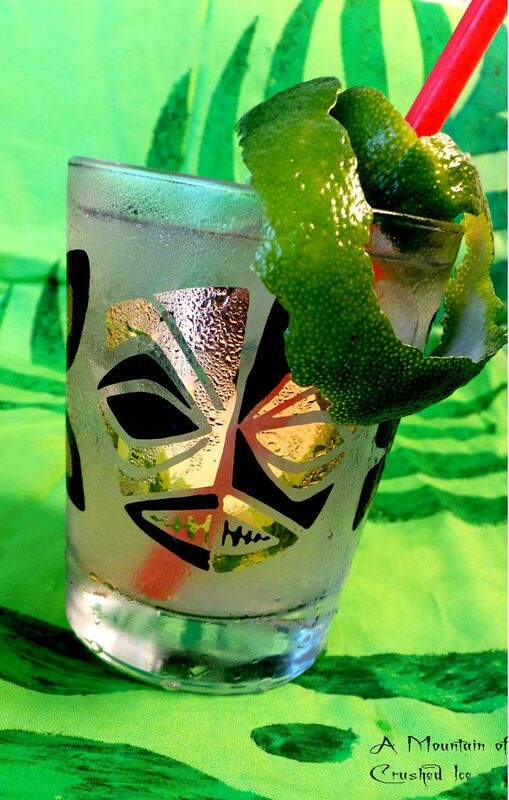 *The Zulu bitters are hard to get outside of Brazil where they are made from local ingredients in the rainforest, ( try e-mail zuluheadbartender@gmail.com ) – Otherwise using Angostura is just fine! The next drink….looks very innocent but it is not! Blend in blender at high speed for 5 sec with 1 cup of crushed iced and pour into a large snifter. It packs a bit of a punch! Pour into a goblet or pineapple filled with cracked ice. Flash blend in blender with 1 cup of crushed ice for 5 sec, pour into a tall glass and fill up with more crushed ice. 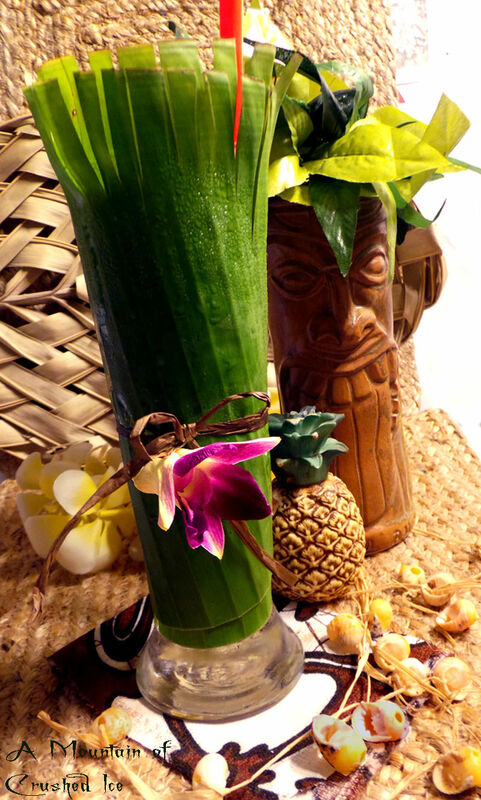 Garnish: wrap the glass in banana leaf and tropical orchid. Overall I think for this infused rum, it´s a work well done! The Meermaid rum is for those who appreciate quality handmade flavored spirits – if you want your own bottle of Meermaid you can order it here. ( I do not know if they ship outside of Europe) And if you are going to the German Rum Festival in october (15-16) you can also find it there! 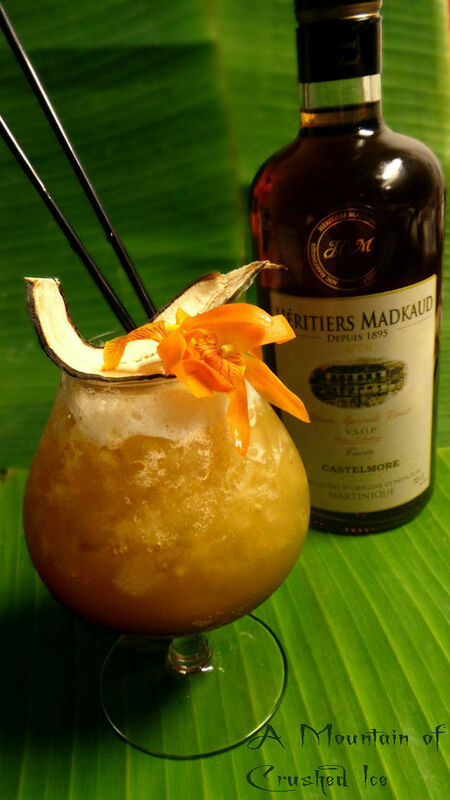 As always when I go to rumfests and try out rums I`ve never tried before I find something that sparks my attention and interest and the rums from Hèritiers Madkaud is one. They are not only very good rhum agricoles they also have an interesting story and I think they deserve to be more known. I`d recommend anyone interested in rhum agricole to try them out! 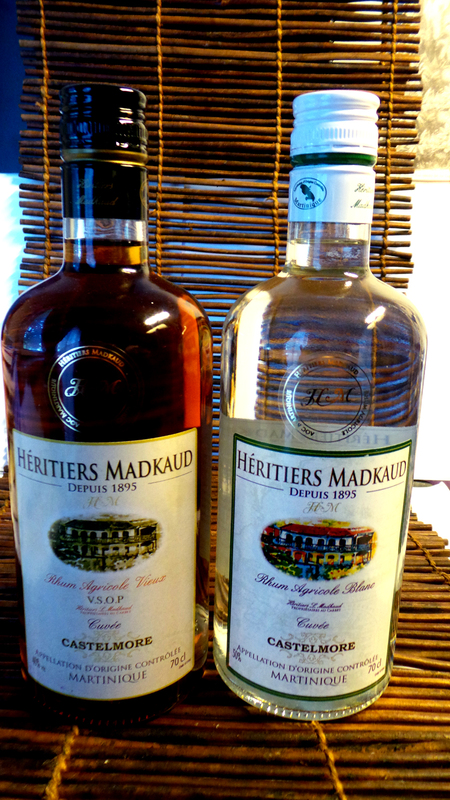 The rhum Hèritiers Madkaud is today owned by Stèphane Madkaud who re-launched the rum by the end of 2007 and most parts of the story was told to me directly by him.The story of the rum brand Madkaud is very old and goes back to the days of slavery on Martinique. So what is written is that “what we know today for sure, is that before being called “Madkaud”, my ancestors were black slaves who worked on a plantation in “Grand Anse – Lorrain”, in Martinique. ” In fact in 1849, one year after slavery was abolished, they decided they wanted to be called “Madkaud” because of a French former governor of Martinique who was called “Mackau” who, in 1845, as a congressman, produced a law which allowed the enslaved to buy their own freedom with their own work. So maybe this is how they got free, maybe a few years before slavery was officially abolished in 1848. Louis had 9 sons and daghters among which was Félicien (the 9th) who was may grandfather’s grandfather and Félicien was born in 1857 as a free man and he created the rum brand in 1895. He was a distiller for a french man who owned a sugar factory, but the guy went bankrupt because there was sugar crisis in the years 1880s and he needed to leave Martinique. Félicien could take the factory but to be able to make it financially, a marriage was arranged with a white lady whose father was a trader in France (in Bordeaux) They got married in 1893 and Félicien created Agricole rhum Madkaud in 1895. In these years it was the end of molasses in Martinique and this is how agricole rum began…because of sugar crisis. Félicien was the first Black man to own a factory. We know he had some difficulties because the owners around did not accept his presence at such a level. But he was also a fighter. 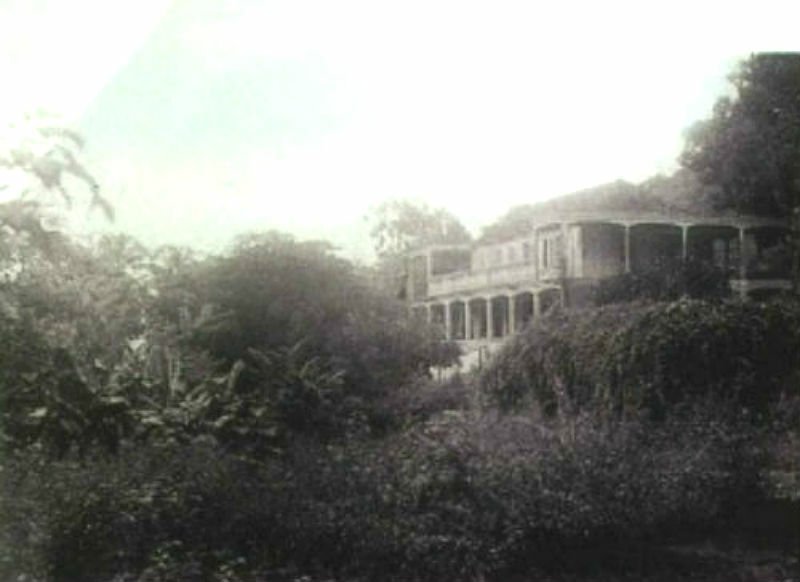 “Habitation Duvallon”, where rum Madkaud was created. The place is called “fond capot”, in the city of Carbet. In the 1950s and 60s the rums from Madkaud were well known on Martinique but they disappeared from the market to reappear in the 90s. The cause of the brand`s collapse was the death of Stèphanes grandfather, aged 40 in the mid 60s causing bankruptcy. Some cousins did their best to keep the brandname alive but they were no more producers. However they succeeded in making the brandname survive through a partnership with a larger producer but this was only survival. They were limited to just a small single quota with the production controlled by a third party, the family rum could no longer afford to be what it once was and only very small amounts of rum were sold locally. Then in the 90s the quotas were suppressed in Martinique and they could go back to business but without a real marketing policy. In 2007 Stèphane created Heritiers Madkaud as a sign of a new era – with better casks, more beautiful bottles, and little by little…better communication. This is why the story starts again 40 (!) years later… 40 years after Stèphanes grandfather’s death. And in 2013 the Madkaud rum was awarded bronze for the white, and silver for the VSOP at the rumfest in Madrid and the same year also bronze and silver in HongKong. This was followed by a gold medal at the Paris rumfest in 2014 and in 2015 it was awarded gold in Madrid and double gold in Berlin for both expressions. The color is crystal clear and the nose is elegant with whiffs of fresh grassy notes followed by hints of citrus, and sugarcane. The taste is mild and balanced with hints of fresh sugarcane, citrus and white pepper. It has the typical grassy herbal notes of fresh cut sugarcane and is pleasant to sip and the crisp grassiness is more in the background than upfront, it doesn`t attack you, more like caressing your palate. It has a medium long finish. Well rounded nose, with hints of wood and herbal grassiness of the cane and tropical fruits. In the mouth it´s mild and pleasanly fruity and balanced with hints of spices, orange and wood, tropical fruits and sugarcane. It has a longer finish than than the blanc. This rum has been aged four years and has a clear amber color. There`s no sugar or other “things” added, this is pure rhum agricole! *Banana syrup – Make a simple syrup with equal parts sugar to water, preferably raw sugar and add the slices from 1 banana and mash the banana slices into the syrup and give it a quick “cook up”, then take off heat to cool. Let sit for an hour to let the flavors marry before straining and bottling into a clean bottle. Blend in blender at high speed for 5 sec with a cup of crushed ice and pour into a pineapple, add more crushed ice to fill. Add the float and a couple dashes of aromatic bitters,(I used Zulu Aromatic bittters from Brazil, but Angostura works just as fine). Heat up and stir until the honey is dissolved. Add 1 tbsp unsalted butter and mix it all together, cool to roomtemp. This is one of Don the Beachcomber’s greatest masterpieces, it was made back in 1940s, even though Jeff Berry have pointed out in his book “Beachbum Berry`s Remixed” that it may even be as old as back in 1937. 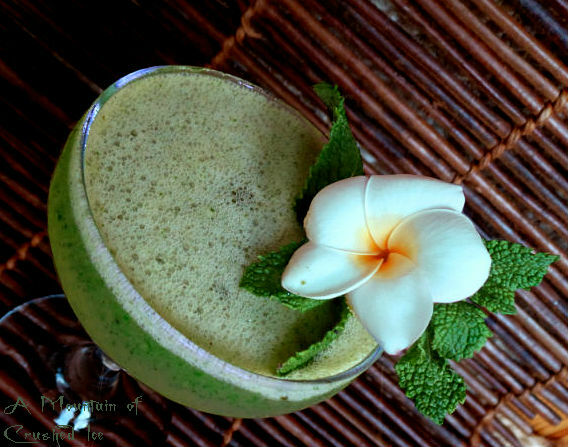 It´s a masterpiece of refreshing herbal awesomeness! and it never gets old. 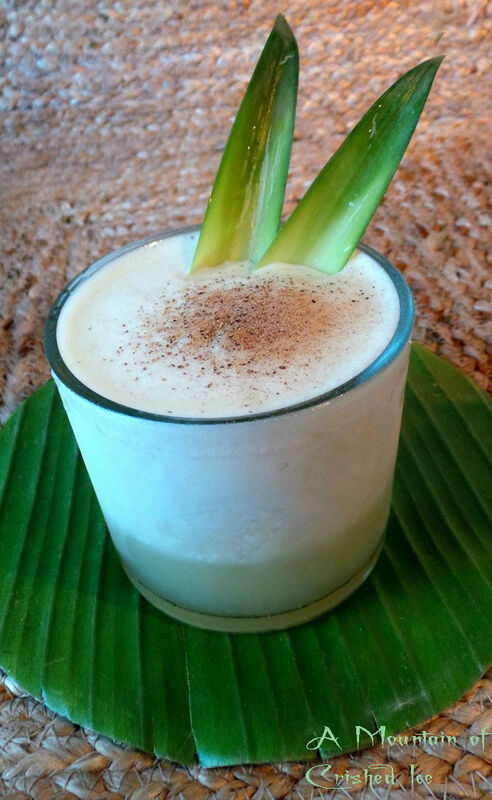 In this recipe the rums are switched to Madkaud Agricole Blanc. And honey-mix is used here which is like the previous honey cream mix but without the butter. Combine in a small sauce pan, heat up and stir until the honey dissolves. 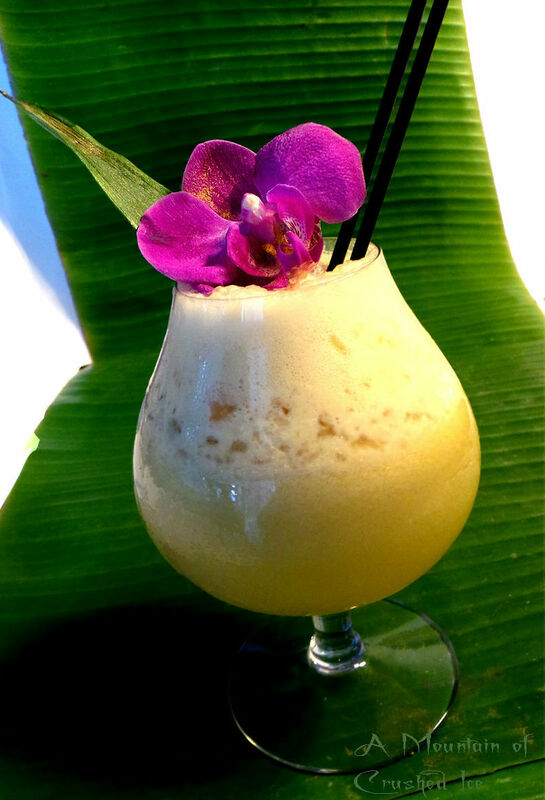 Shake hard and long to emulsify the egg white (or use blender) and pour into a chilled rocks glass. Dust grated nutmeg on top. 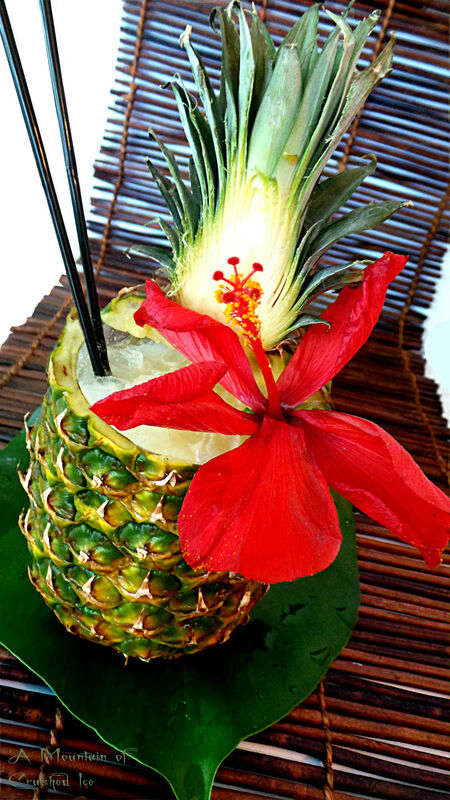 Garnish with pineapple leaves. *Make ginger syrup the same way as you do banana syrup. Peel the ginger before slicing, you need only a small piece of ginger, about 4 cm to 1 cup/2.5 dl of simple syrup. Flash blend in blender at high speed for 5 sec with 2.5 dl/ 1 cup crushed ice. 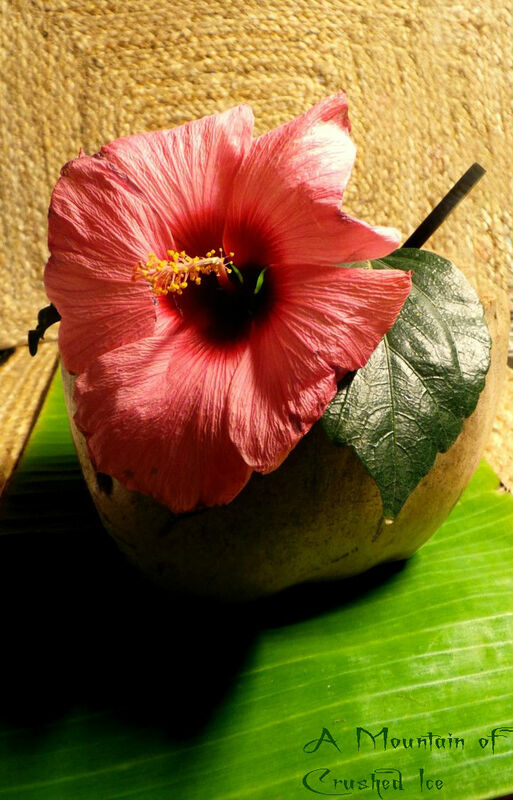 Pour into a coconut or rocks glass and top up with more crushed ice. Well, no problem with the mixing! this rum both sips and mixes just fine! in other words, it´s very versatile. I`m glad it was brought back from “dormancy” by Stèphane! Hope to see more rums from Madkaud in the future! 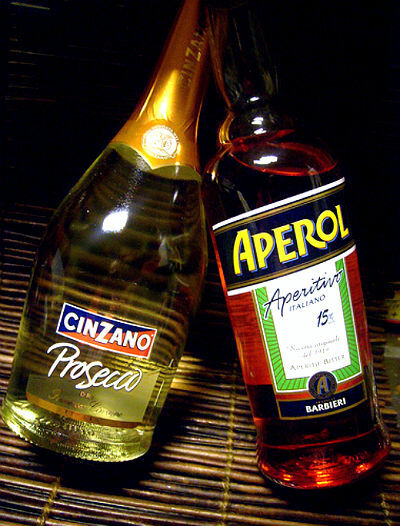 Aperol originated in 1919 in Padua Italy by the Barbieri brothers and was originally produced by the Barbieri company. The recipe is an infusion of more than 30 aromatic herbs and spices including bitter and sweet orange and the original recipe remains unchanged to this day. Aperol was named by Silvio Barbieri after the French word for aperitif, ‘apéro’, which, on a recent trip to France he had learnt and found it seemed appropriate for their new bitter-sweet liqueur. The majority of herbs and roots used in Aperol come from the Piedmont region of Northern Italy and the recipe have never been changed since it was created in 1919. There is no aging and immediately after blending the Aperol is ready to be bottled. At the time it was a revolutionary concept to make an aperitif with an alcohol content of only 11% and as it didn`t become a major success until after the 2nd world war, it was probably a bit before its time. The brand was purchased by “Barbero 1891” in 1990 to assist them in building up their portfolio of products and today Aperol is owned by Gruppo Campari (since 2003) who have continued to build Aperol and gave it a new packaging in 2011 while boosting the international marketing of the popular Aperol Spritz drink. The flavor of Aperol is very much orangey and has but a hint of bitterness, like a whisper in the background compared to Camparis more straight forward bitterness that hits you with a force if you aren`t used to it or is sensitive for bitter flavors. Aperol is more gentle and would be a good first time bitter aperitif. I love them both. 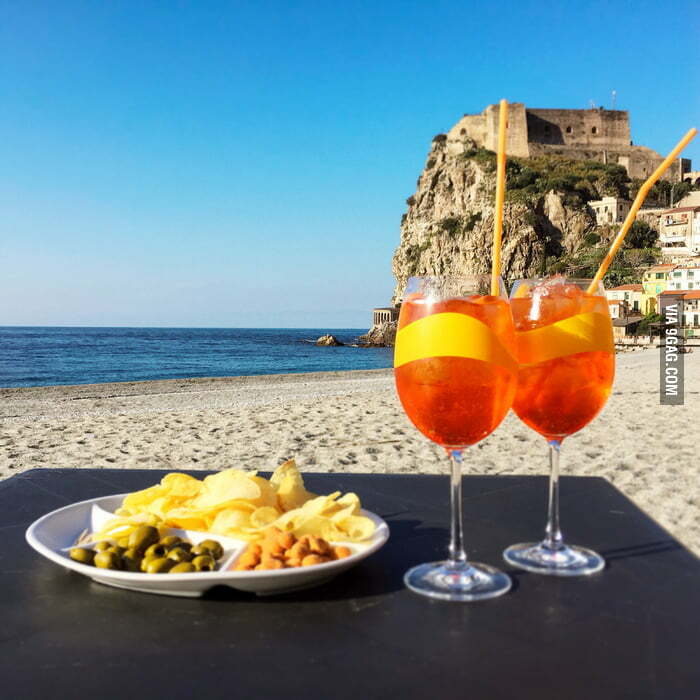 In a rocks glass add ice and a slice of orange, Prosecco, Aperol, and soda to top, now you have a classic Aperol Spritz.. The Spritz cocktail is believed to have been born during the 19th century Austrian occupation of Italy. 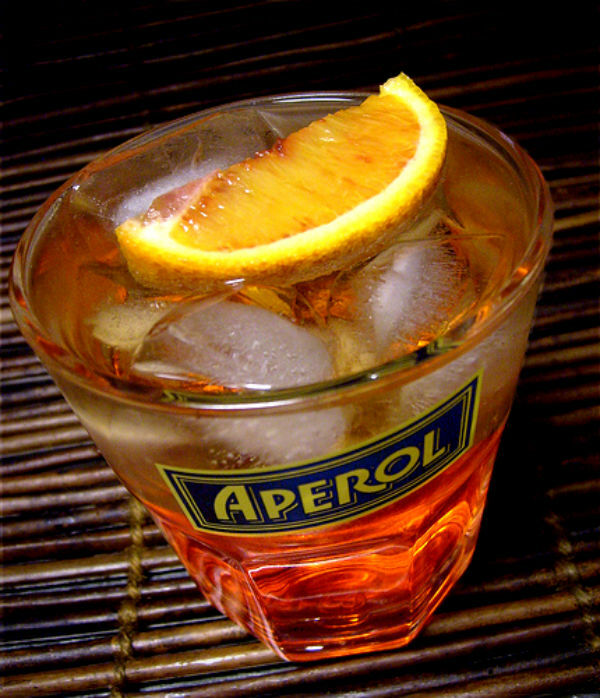 Originally the spritz was drunk by the german soldiers and was made with Venetian wines dilluted with water. The Spritz aperitivo spread from northern Italy to the south and many variations were made , and the most popular is the one using Prosecco. And no wonder, its a incredibly fresh and tasty drink and it*s perfect for the warm summer days and balmy evenings or why not enjoying a Spritz while visiting betway for your soccer game pleasure. Or why not at the pool or the beach? Aperol Spritz is a perfect, low-alcohol refresher when it’s hot. Aperol is also the perfect introduction to bitter aperitifs since it`s much milder and somewhat sweeter than Campari, its big bold and bitter cousin. And when mixed with Prosecco, the slight bitterness of Aperol becomes even more subtle. Add to a rocks glass with ice and stir. Garnish with the orange wedge. So fresh! so tasty! Smooth like silk and fresh!